Hey, it's the emoji poop ready to have a fiesta with the lucky bride to be! 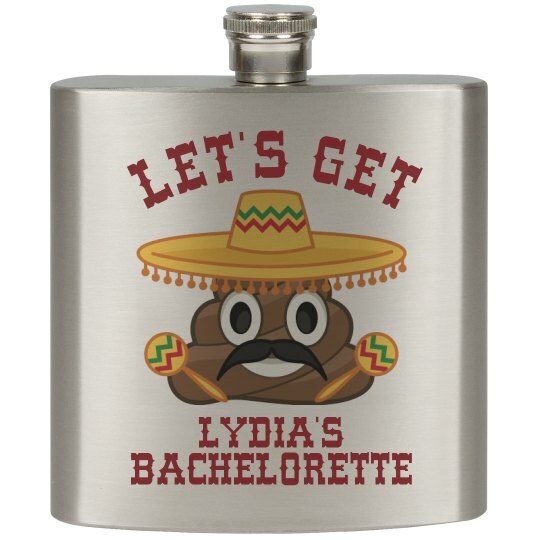 Customize fun and somewhat naughty custom flasks for all the bridesmaids at the bachelorette party this Cinco De Mayo! Gte shooting back that tequila, girls! Salud!